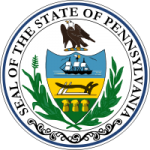 Create a secured note using the Pennsylvania Secured Promissory Note Template (download links on this page). Promissory notes are a type of agreement that provide an outline of a loan’s terms (e.g. amount of loan, interest rate, payment schedule, etc.). The note is “secured” because the borrower is required to provide some form of collateral (in exchange for receiving the loan). 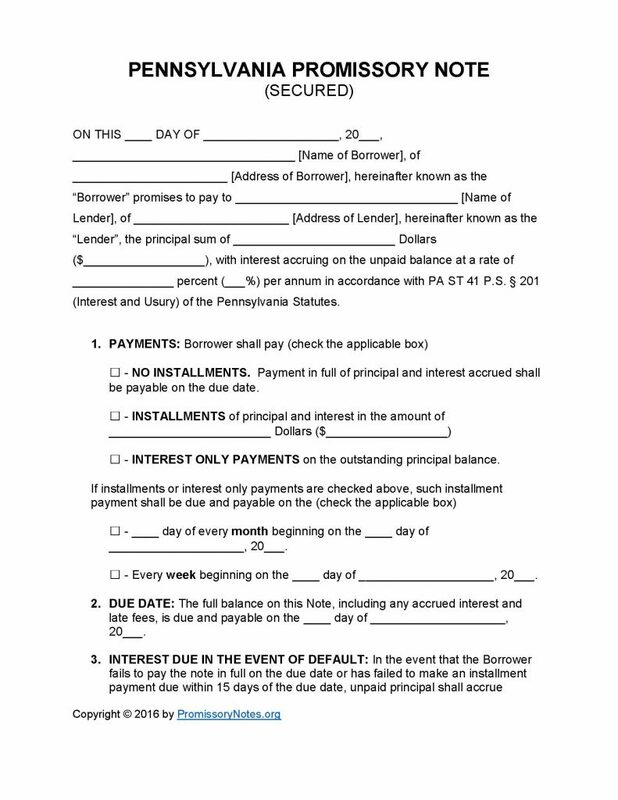 Use the guide posted below to learn the requirements of a properly formatted promissory note. Step 1 – Download the document. Payment method (check the appropriate box). Installment amount – if required. Payment schedule – monthly/weekly due date (if applicable). Enter the when the full balance of the note will be due by. Submit the interest rate that will be charged if the borrower defaults on the loan. Fill in the number of days that will be given to the borrower to make a past-due payment. Enter the charge that will be applied to the balance if the borrower misses a scheduled payment. Provide the period of time (in days) that the borrower will have to cure a default (before the lender can declare the full sum of the note due immediately). A description of the pledged assets must be provided in this subsection. The borrower must print/sign their name. Lender must print/sign their name. Witnesses are required to print/sign their names.